We are known for offering a range of Extruded Rubber Hose to our clients that are fabricated as per their requirements. These are widely used in the automobile industry and are offered at best industrial leading prices. Our manufactures hoses are highly appreciated by our clients for its features like 100% efficiency and are widely used for transferring of heat generated at industry sites. Weare a leading manufacturer of premium grades heater hoses which find extensive usage in automobiles. 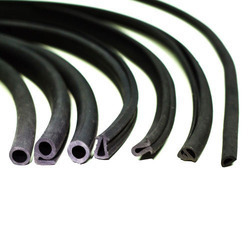 These Extruded Rubber Hoses are used to allow hot coolant to enter and leave the heater core in order to provide proper heating of the vehicles. The superior quality of extruded rubber hose that we manufacture are offered at leading market prices. We manufacture a range of quality Nitrile Beadings which offers excellent grip. These are available in various shapes and sizes. Nitrile Rubber Beadings are manufactured using the raw material as per the requirement given by the client. 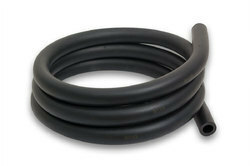 Looking for Extruded Rubber Hose ?